Much has been written about the death of the mid-budget film as Hollywood studios focus on blockbusters capable of overseas success. 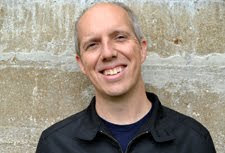 This trend has also focused the attention on audiences that go to the movies the most often. Where does that leave viewers looking for something beyond the latest superhero film or generic comedy? We’re still seeing great independent films, but the ability for even veteran filmmakers like John Sayles to get funding is very difficult. There are some exceptions in this landscape, but they’re becoming rarer with each passing year. 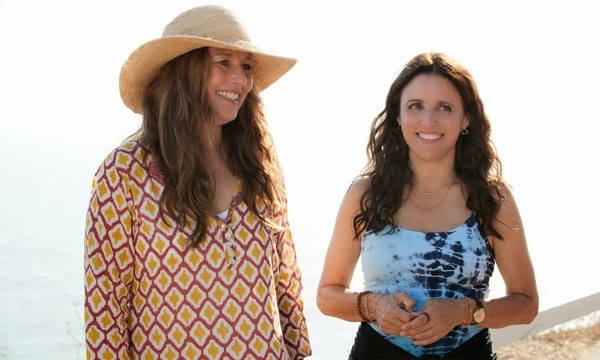 When a movie like Nicole Holofcener’s Enough Said turns a tidy profit with a September release, it shouldn’t be a surprise. Even so, it doesn’t fall into a simple category and looks much different than your standard romantic comedy. Despite a few plot contrivances, there’s a refreshing feeling to this movie that’s rare even in the indie world. Julia Louis-Dreyfus stars as Eva, a divorced masseuse with a daughter getting ready to leave for college. She meets Albert (James Gandolfini) at a party, and they begin a relationship. He’s also divorced with a daughter that’s graduating, and everything is looking positive for the couple. Their first date feels natural and doesn’t involve much awkwardness. This sequence is charming and never over plays their attraction. Eva and Albert get to know each other, and it’s thrilling to watch such a different take on the formula. Their interactions feel realistic and aren’t too witty or perfect. Louis-Dreyfus and Gandolfini show each character’s hesitance even when things are going really well. It’s a clear take on people who’ve been through a lot and aren’t sure if relationships are worth the effort. Before getting to the hook, it’s worth stressing just how different the conversations seem from the typical movie dialogue. These characters have jobs and families, and they talk about the worries and challenges of daily life. Every statement isn’t designed around the main plot and allows us to get to know the characters as they meet each other. There’s a tricky moment when Eva rejects his move to kiss her, and Holofcener doesn’t over play its importance. Albert accepts her reluctance because there’s such potential. Even a really great first date is going to have a few bumps in the road. The actors play everything so well that we never doubt the characters for a second. Both are working at the top of their game and bring life to people who are different from their usual roles, especially for Gandolfini. Every relationship needs a challenge, and Holofcener grabs an obvious one. Eva also meets Marianne (Catherine Keener) at the same party, and she becomes a client and eventual friend. The catch is that she’s Albert’s ex-wife, and it’s a twist out of a lesser movie. Even so, I didn’t find it as difficult to accept as expected. The reason is that Louis-Dreyfus plays the hell out of Eva’s reluctance to mess with either friendship. There’s one moment where she’s hiding behind a bush to conceal her identity, but that works because we don’t see it repeated. The ultimate revelation works because Gandolfini sells the heartbreak. Keener also plays the scene well, and both characters act like you’d expect adults to respond. They don’t forget about the hurt and realize Eva might not be good for their lives. Another refreshing aspect is the focus on Eva as the lead throughout the movie. We rarely get such a nuanced perspective on an older (by Hollywood standards) woman who just can’t get out of her own way. She has close friends and a great daughter (Tracey Fairaway), yet there are plenty of challenges. Holofcener has created other memorable female characters, but few have provided such depth. I’m really interested to see Louis-Dreyfus take on more roles of that caliber. She’s hilarious on Veep and is superb at comedy, but there’s a lot more potential. Gandolfini’s death was an unfortunate surprise at such a young age, and this wonderful role provides more evidence of his range. Both overcome the plot contrivances and forge ahead to create thoughtful characters that stick with you for a long time. Good review Dan. 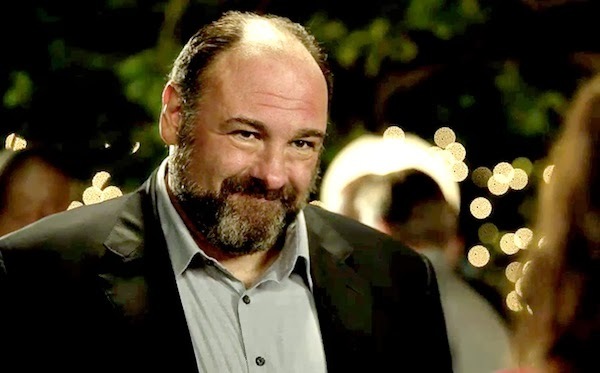 It is possibly the sweetest, most pleasant movie of the past year, and yet, this huge cloud of sadness just hovers it of how we've actually lost Gandolfini from our lives. Such a damn shame, too, but at least he gave a wonderfully charming performance here and shows us why we loved the guy so much in the first place. Well, you know, when he wasn't playing "heavys". Dan, I'm glad that Gandolfini got to play such a great character before he died, but I agree that it does add some sadness to watching Enough Said. I agree that it's a really sweet movie, and I loved seeing Julia Louis-Dreyfus get such a good role. Thanks! Great review! This one has many of the ingredients of a more standard rom com but it's just executed at a much higher level than most. I really enjoyed it. Glad to hear it, Jess! I expected good things based on what I'd heard, but it was still more engaging for me. Seems like a worth to watch! Never heard of this one yet, but I think I'll go check it out if I can. It's definitely worth checking out. The performances are really strong, and it's different than the typical romantic comedy.